Nighttime can be the most challenging time for a postpartum family. Babies wake up and want to eat— a lot. Parents are exhausted and, when everyone else has gone home, a postpartum doula can help! While a postpartum doula cannot promise that you will sleep eight hours straight, she can help you stay in bed and maximize your chances of sleep. Individual night shifts are from 9pm-6am. This package is a wonderful gift to help the family rest and recover. The four nights can be used back-to-back, over the course of one to three weeks, or spread out over the first month, whatever the family needs! Multiple babies are, without a doubt, overwhelming and exhausting. However, they also give more smiles and snuggles as they grow. It may not always feel like it, but a family is very lucky to have multiple babies. 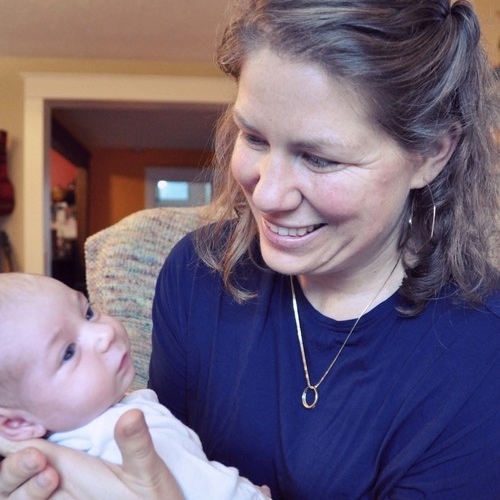 A postpartum doula helps a family feel lucky. First and foremost, she helps the family sleep, which makes everything else better. This package provides a wonderful start for any postpartum family! However, particularly for families who are recovering from a cesarean, a difficult birth, or are parenting on short notice. Sometimes you just know you will need more sleep support than the average bear. Bridgetown Baby is thrilled to partner with Portland Professional Birth Services to offer the Postpartum Super Power Package. By combining the healing potential of your placenta in a convenient pill-form with a full night of postpartum doula support, you are likely to wake up feeling like a new woman.